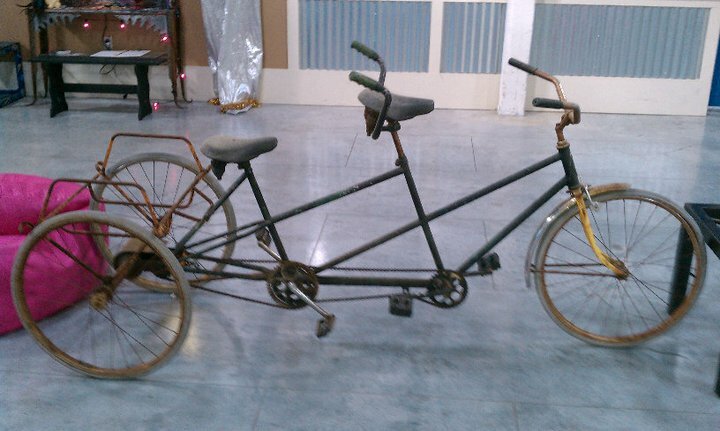 This custom tandem tricycle was originally pulled from the wreckage of Hurricane Katrina. 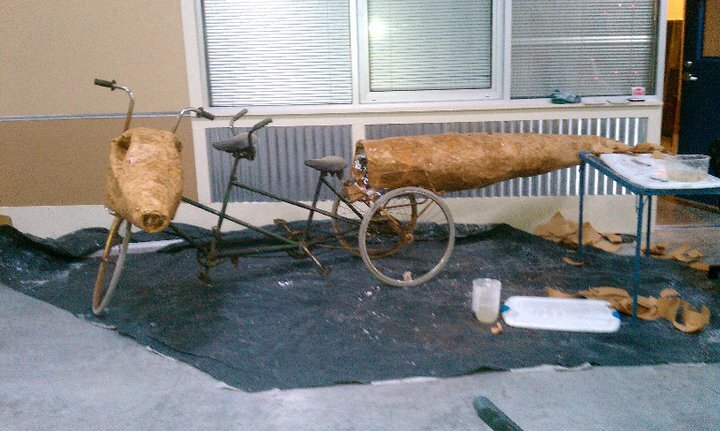 Its owner reached out to the Krewe of Kolossos to bring it back to life and into Mardi Gras. Layers of brown bags and newspaper make up this gator's tough skin. 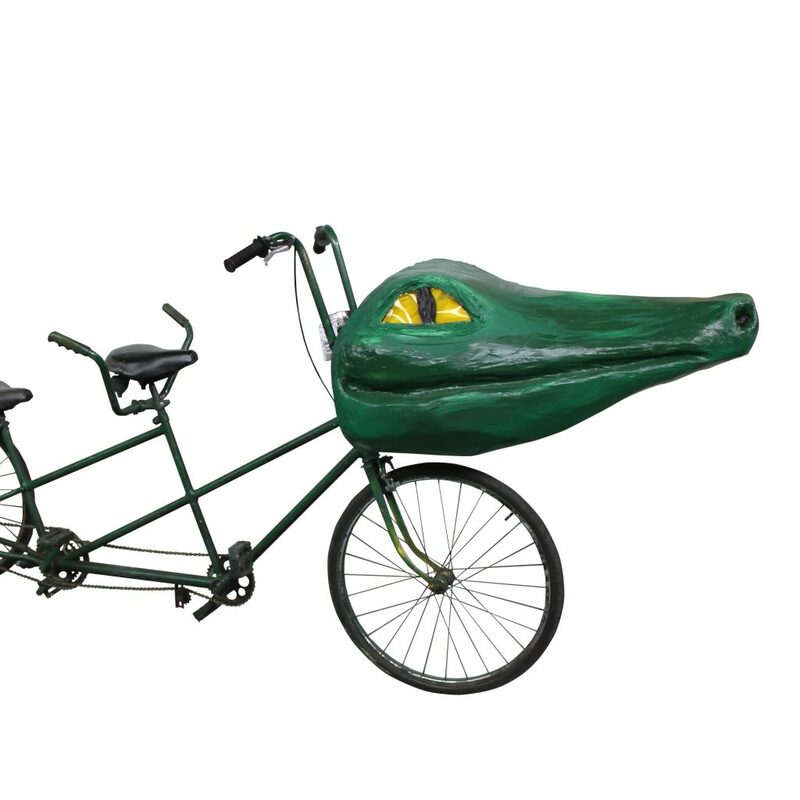 Alligator Art Bike Biography: Mahalia, named for New Orleans’ celebrated ‘Queen of Gospel’ and civil rights activist, Mahalia Jackson. 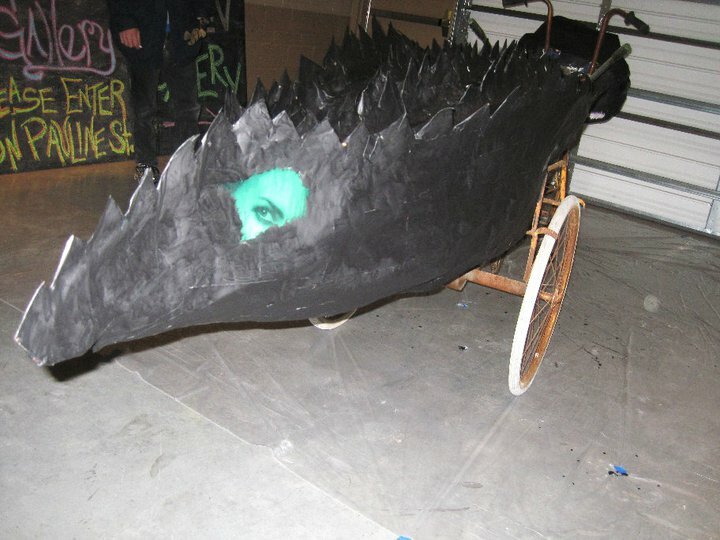 This two-seater (tandem), alligator tricycle has appeared in dozens of New Orleans parades, festivals, events, commercials, films and television. Artist and environmental activist, Katrina Brees was inspired to sculpt the 14 foot alligator by real-life, New Orleans alligators. 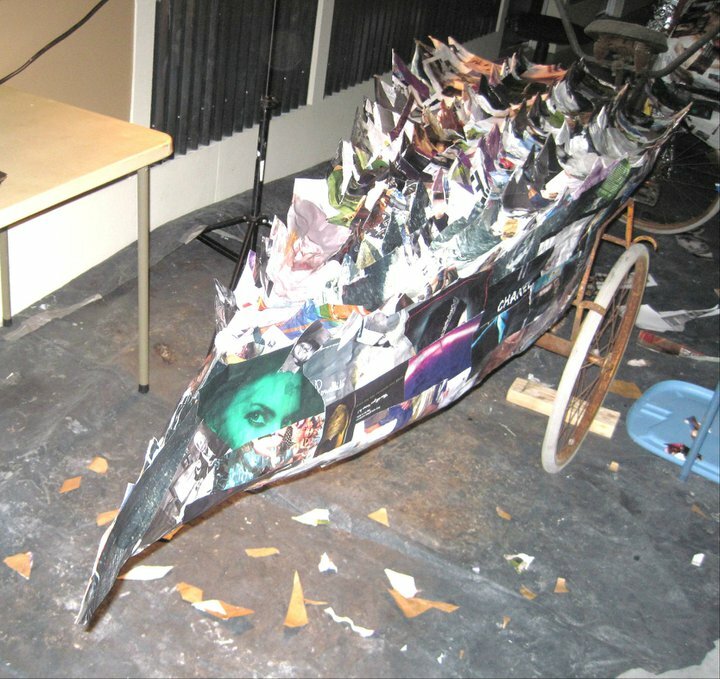 Using cardboard beer boxes, several New Orleans yellow pages and paints left over from art projects gone by, Mahalia was born from the bayou and land-fill rescued materials. 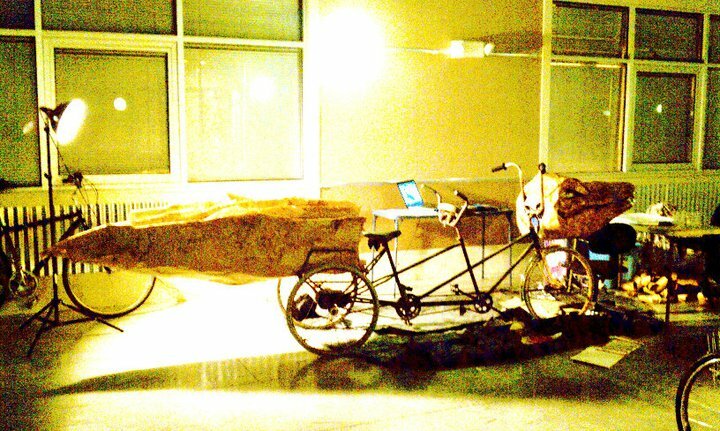 Her weathered vintage, custom tricycle adds to her beauty.